The Workshop is filled with strange and wonderful tools. 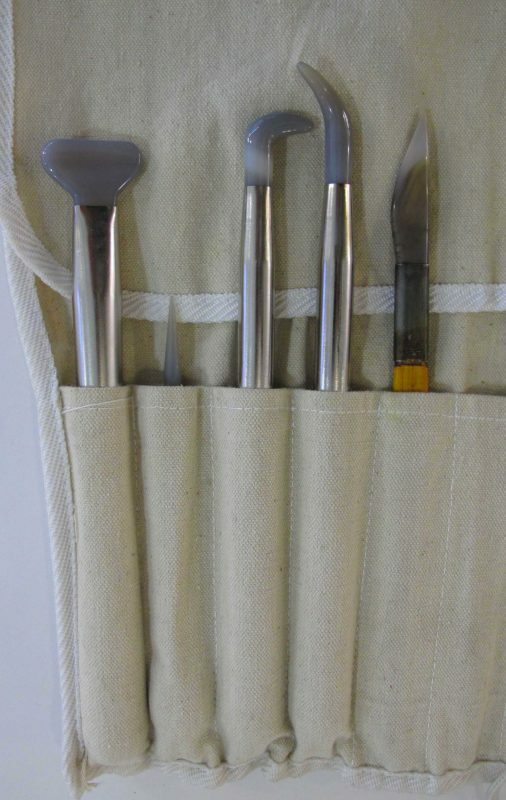 Often tools are borrowed from other industries such as the Jewellery and Engineering. 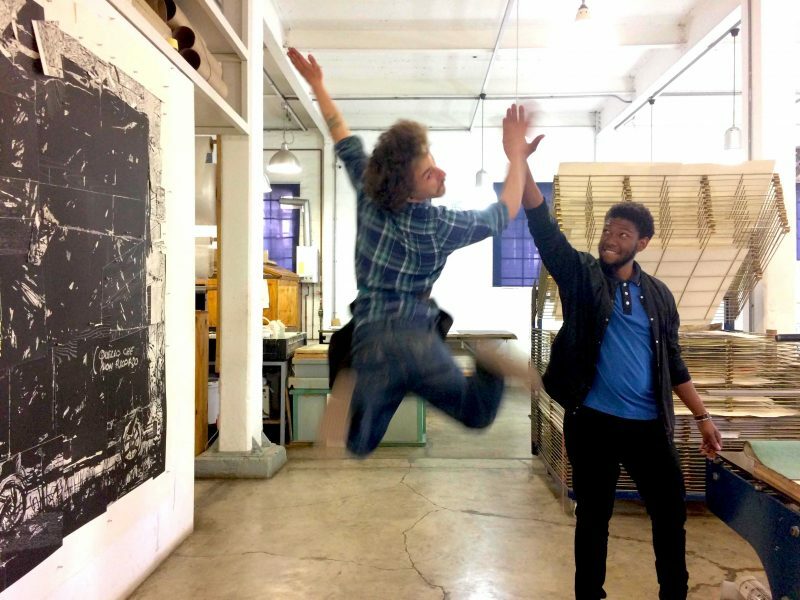 We use the deburring tool for preparing the edge of plates before printing. 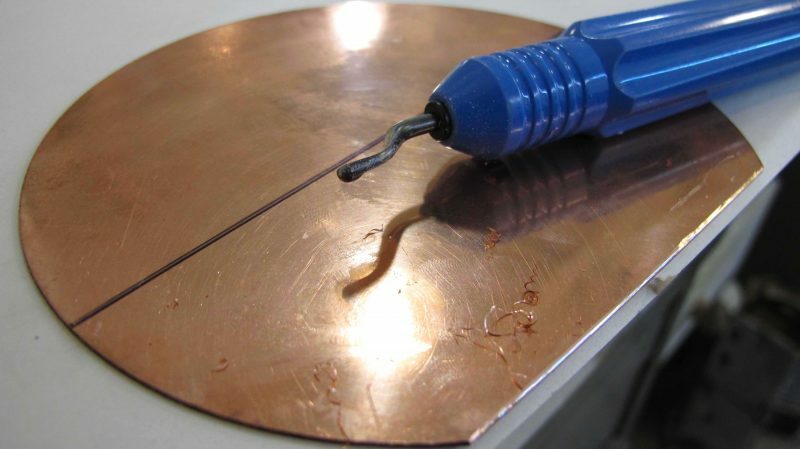 the curved swivel blade alows you to shear off uneven and rough edges before finally filing and polishing them smooth. 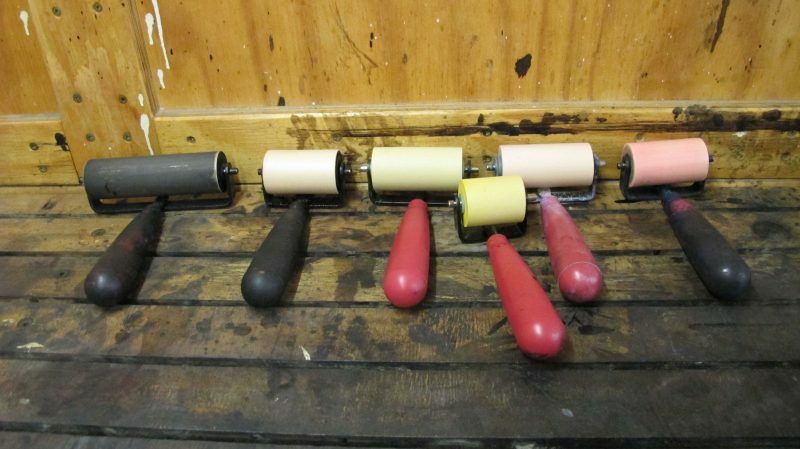 Rollers and Brayers – what is the difference? There is none!! 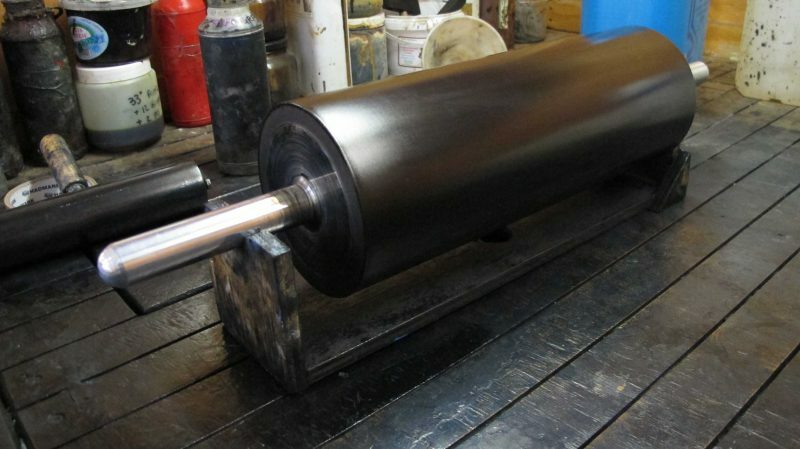 A roller or brayer is made of rubber and can be made from different durometers (the hardness of the rubber) of rubber. The softness or hardness will have an effect on how the ink is applied to the matrix (plate made of wood, metal or plastic). 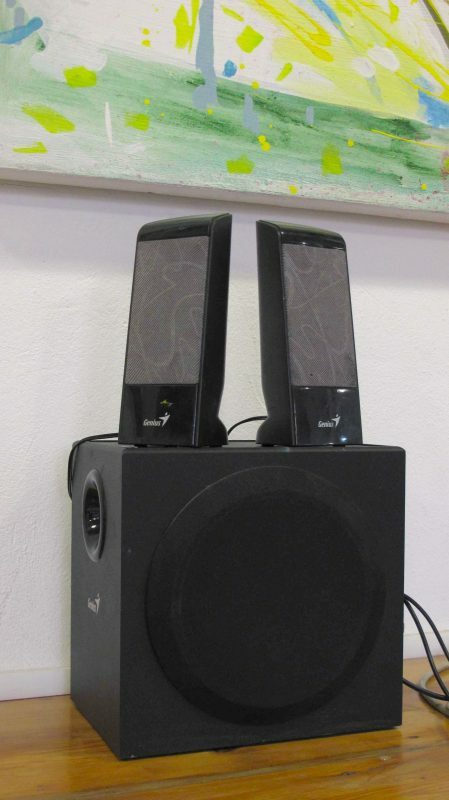 Music is an essential tool in the workshop, we listen to a range of genres and podcasts to keep the mood going. A muller (a round, flat-bottomed glass instrument with a hand grip, on the far right) is used for blending powders with small amounts of liquids. 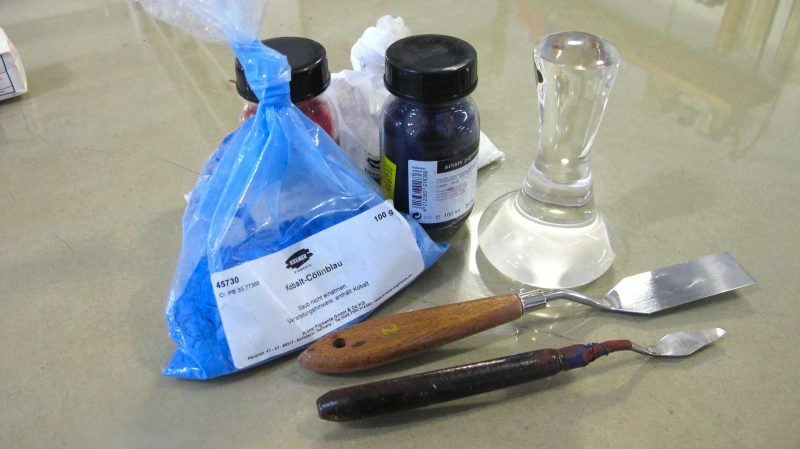 We use it in the studio for making watercolours. 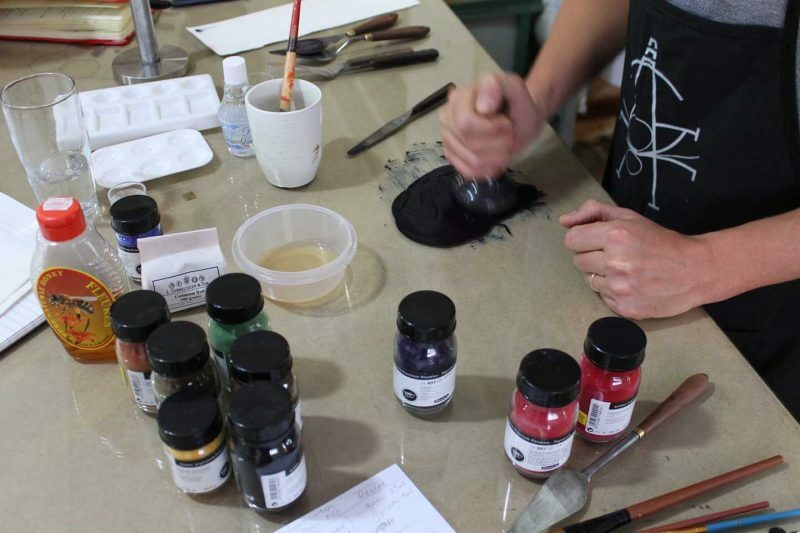 The muller is pictured here with powdered pigments and palette knives for mixing. Agate burnishers are used to flatten marks made in copper. 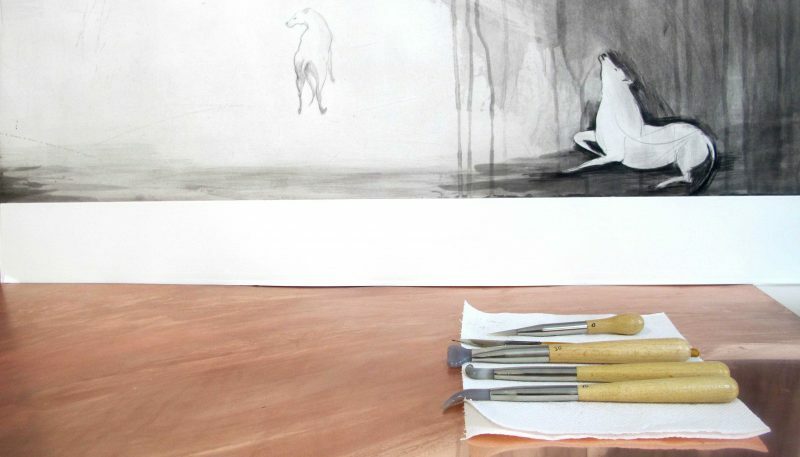 By flattening the marks until the copper is shiny and smooth, it then this means that the copper will hold no ink and be white when printed. 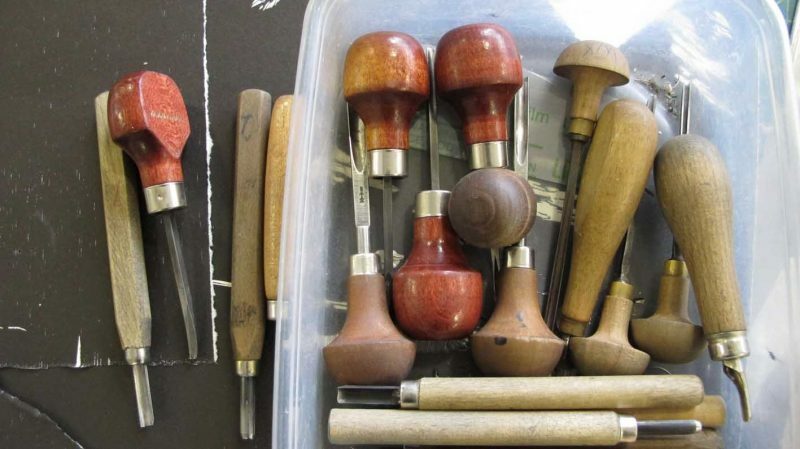 Carving tools come in different shapes and sizes and can be used for wood or lino. The knife tool can be used to incise and cut the grain of the wood. The ‘U’ shaped tool cuts a rounded mark and is great for clearing areas. 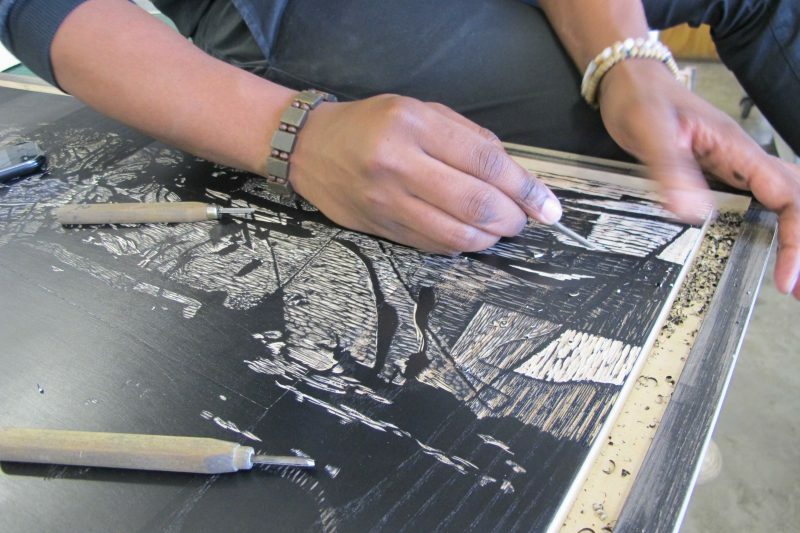 The ‘V’ tool makes a nice sharp line and is good for cutting lines and against the grain. 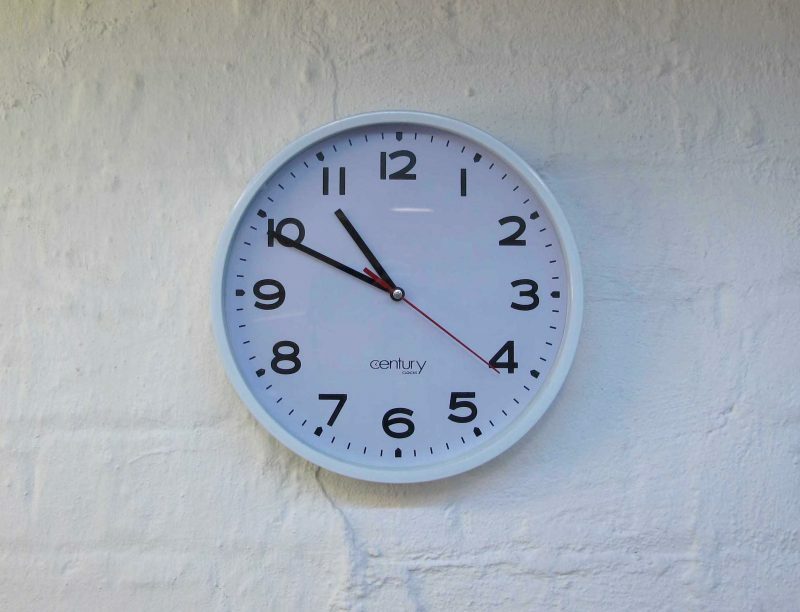 Having a clock in the studio is not necessarily about time keeping but is most useful for helping time acid etching or helping time dropping an aquatint’s onto a plate. And last but not least, in our teams opinion our best tools are our hands!